You’ve been served a traditional Japanese meal for the first time. So many plates, so many dishes all at once! What happened to the soup course, the salad course? What do you eat first? The miso soup is the best bet, right? But maybe you need to respect the rice or something by taking a bite of that first. The side dish looks like an appetizer—that seems like a logical starter. But you’re a foreigner, so you might be forgiven for diving right into the main dish. Or does that make you look like you have no class? Lucky for you, there is no wrong answer. The typical meal you see above is called Ichiju Sansai, which means, “one soup, three dishes”. 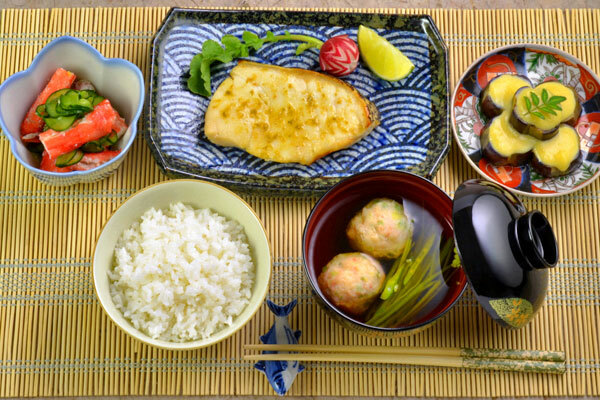 For more on this classic style of Japanese meal, look up this article from Zojirushi. Some people do indeed go for the soup to whet their palates. Others dive into the main dish or one of the side dishes, especially if it’s calling out to you, begging you to taste it NOW! But the second move is almost always a bite of the rice. Once you have a mouthful of salted fish, or vinegary pickles, or sweet sour vegetables, you’ll crave a bite of hot, moist, fluffy rice to balance out what you just ate! Are you beginning to understand why it’s not necessary to flavor your white rice with soy sauce? Ugh! But even before you scarf up, let’s put you into a Zen type of mood so you don’t inhale your food. You may have heard about the custom of saying “Itadaki-masu” before actually taking that first bite. You may have even seen your Japanese friends clasping their hands in prayer and bowing to their meal. As much as it seems like this is the Japanese version of saying Grace in Western culture, it really isn’t. The literal translation is “I shall take” (the food before me); but it really implies, “Thank you for this meal.” Thank you to the farmers who raised this food with their hard work, thank you to Nature for allowing the farmers to do so, etc. It’s a more holistic gratitude than a worship. By the same token, the companion phrase, “Gochiso-sama” is used after you’ve finished the meal to indicate being very satisfied with the feast, and to give thanks again before leaving the table. 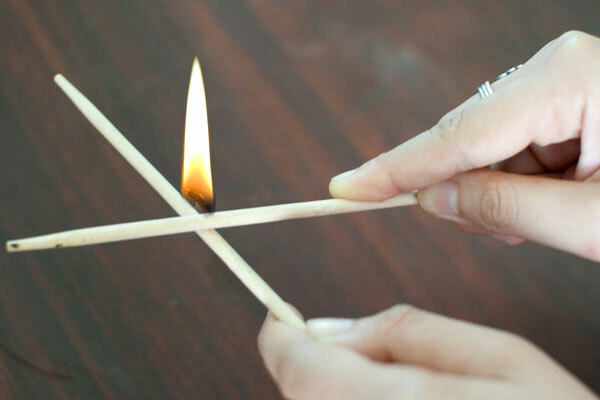 In particular, don’t stick them upright in your rice (they resemble sticks of incense at funerals), and don’t pass food from chopsticks to chopsticks (again, a ritual performed at cremations when metal chopsticks are used to pass the bones of the remains from relative to relative). Whew! You can see why these acts might actually make people uncomfortable. 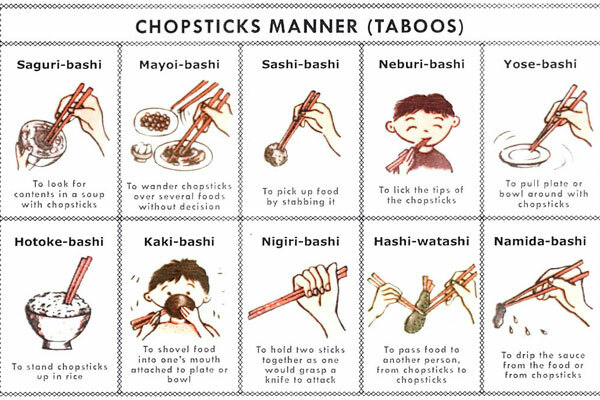 I’ve got another one to add to this list that’s strictly my pet peeve: “Kosuri-bashi”, the way everyone seems to think it’s necessary to rub and scrape their chopsticks together to get rid of splinters. In reality, unless you’re using some very poor quality chopsticks, modern wooden ones these days don’t really have splinters. In fact, you might be creating more shavings this way, or you might start a fire! NOW you’re ready to start eating Japanese without looking like a Barbarian. Keep in mind that the rice and miso soup bowls can be picked up and brought to your mouth to drink directly from the bowl. 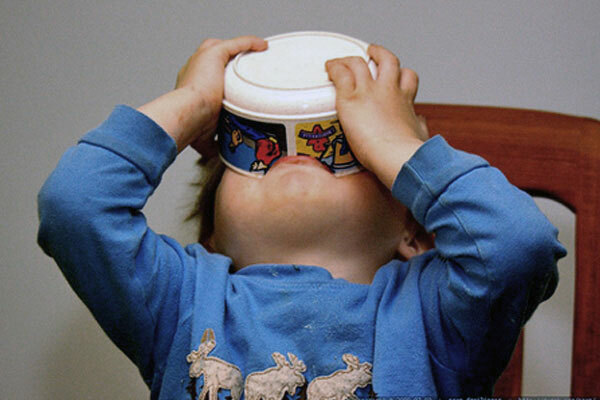 Don’t slurp–just because you’re allowed to do it with noodles, doesn’t mean you can do it for soup. And don’t shovel the rice into your mouth; take a bit with your chopsticks and eat. The rest of the dishes should stay on your tray or table and eaten from the plates directly. If you’re serving yourself from a communal large dish of food, just bring some to your own plate before eating. It’s OK to bring your plate to the food to shorten the distance. And try to use the other end of your chopsticks instead of the end that you’ve just stuck in your mouth–better yet, hopefully a utensil has been provided for that purpose. A lot of this is common sense, i know…but not all of it. Don’t even get me started on the ritualistic ways of eating sushi, or the formalities involved with drinking in the company of your boss or colleagues. That’s a whole topic for another day. Butchers in Japan prepare korokke in their shops, where they have the ingredients needed to make these fried patties on hand. Children would buy one or two korokke patties on their way home from school or sports, and Japanese mothers would be famous for making their own family recipes as snacks and dinner favorites. Korokke, at its most essential, is a fried patty made of simple, easy-to-find and inexpensive ingredients. Like American hamburgers, they’re ubiquitously available and can be found at many street festival or corner convenience store… even Seven Eleven! Korokke are generally made using cooked ground beef, smashed boiled potatoes, sautéed minced onions, salt and pepper, all mixed together. The mixture is formed into a palm-sized patty, coated with flour, eggs and panko breadcrumbs and then deep fried. Adventurous cooks add curry or cheese or make them vegetarian by replacing the beef with carrots and other vegetables! 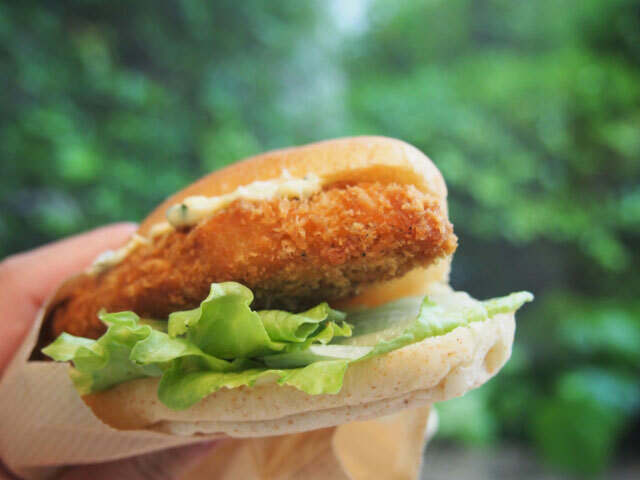 McDonald’s in Japan even introduced their own seasonal version of korokke and made a burger out of it, called the “Gracoro Burger”, although their recipe deviates quite a bit from traditional korokke. Korokke patties are even better in sandwiches, called korokke pan. These sandwiches, made with a korokke patty stuffed into either a sesame seed bun or dinner roll along with finely shredded cabbage and tonkatsu sauce, can be found at bakeries and sandwich shops across Japan. Korokke pan are perfect for packing into a bag or taking on a trip, and are great when you’re on the go. Convenience stores sell them packaged and sometimes warmed, so even if you don’t make them at home or aren’t near a specialty shop, you can find them easily when traveling around Japan. 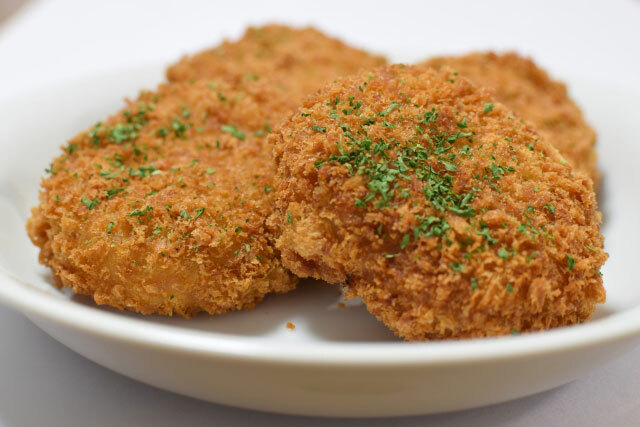 If you’re ready to try korokke, check out this recipe using rice on our website, or try out a patty or sandwich from your local Japanese grocery store. Stay tuned for our continuing series about Japanese street food! Last month we began our exploration of umami, the “delicious taste” discovered by Dr. Kikunae Ikeda in 1908. Umami is the rich flavor imparted from foods that contain high levels of glutamates, a type of amino acid that, when ingested, tells the brain that the food the body is about to receive is savory, desirable and full of protein. Umami is at the heart of a Japanese cooking liquid called dashi, which was studied by Dr. Ikeda and which forms the foundation of many Japanese dishes. Dashi is an all-purpose, light stock made simply from an umami-rich ingredient and water. Its role in Japanese cuisine can’t be overemphasized, as it is used to season simmered and steamed dishes, flavor soups and create a base for marinades. While preparing dashi is simple, it requires a meticulous attention to detail. When made from scratch, dashi is made from clean, soft water. Various ingredients are added to the water to give it flavor and to impart umami. 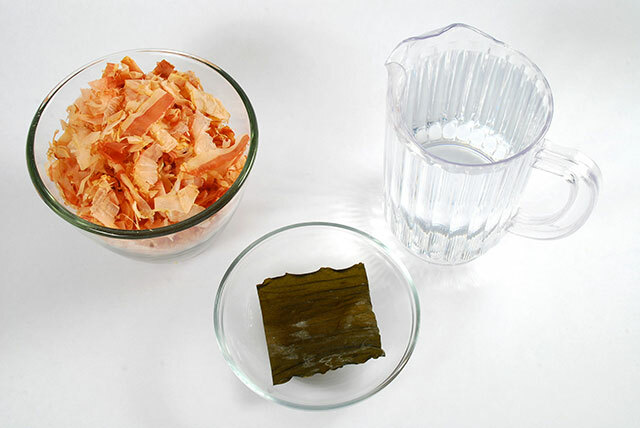 The classic way to prepare dashi is to make ichibandashi, which typically consists of simmering shaved bonito flakes—dried, smoked skipjack tuna—and dried konbu kelp in water. 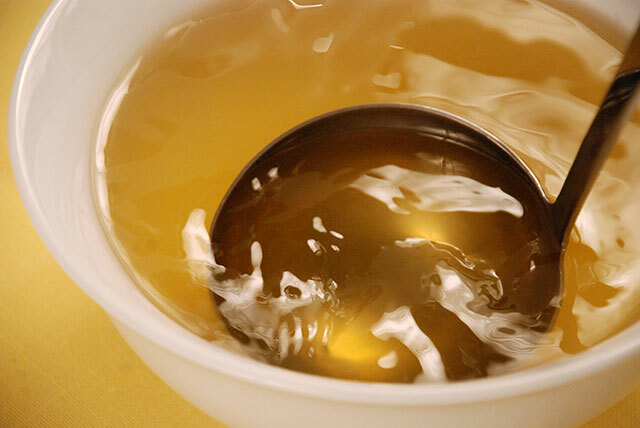 While this type of dashi is used to prepare many Japanese dishes, many cooks also use variations of the classic dashi in modern Japanese cooking. Dashi made from dried shiitake mushrooms, dried baby anchovies or sardines, dried scallops, or even just konbu or only bonito flakes have become common additions to the Japanese cook’s dashi repertoire. When making dashi at home, it’s important to use high-quality ingredients that have been air dried, avoiding frozen ones, as freezing alters the flavor and aroma of the ingredients. The best quality bonito comes in stick form and is approximately six-to-eight inches in length. Bonito sticks look like dense, brown hunks of wood that have an ash-white coating. The sticks are made by filleting skipjack tuna, boiling the fillets, then removing the skin and bones from the fish. The fish is smoked multiple times to dry it and to preserve the richness in the fish’s flavor. After, the dried fish is cultured to continue its preservation, and then finally, dried in the open air. When two sticks of bonito are struck together, they should make a hollow sound, like musical instruments! Dried bonito sticks are then shaved using an appliance similar to a mandoline, called a katsuobushi kezuri, and result in pink curls of fish. Vegetarian dashi is commonly made using dried konbu or shiitake mushrooms, again with both ingredients of the highest quality. The most prized type of konbu is harvested from the cold waters off of the northern coast of Hokkaido. 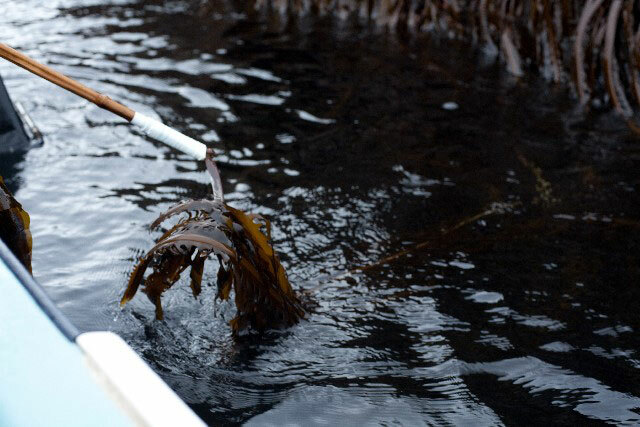 These giant kelp have wide, thick leaves and a rich amber color. They are harvested, rinsed in sea water and hung out to air dry. Once dried, the konbu will have a distinctive whitish coat, made up of natural sea salts and minerals, which holds much of the seaweed’s flavor. The dried konbu is simply wiped with a damp cloth and then it’s ready to use in making dashi. Simmering dried shiitake mushrooms also makes a vegetarian version of dashi, one with a darker color and more intense flavor. Cooks often make their dashi from scratch, but when pressed for time, flavorful, high-quality instant, dashi products can be found at Japanese or Asian grocery stores. Modern cooks often keep both as staples in their pantries, giving them versatile options for this foundational ingredient in Japanese cooking. We’ll share recipes about how to make dashi in our next blog post, so stay tuned! 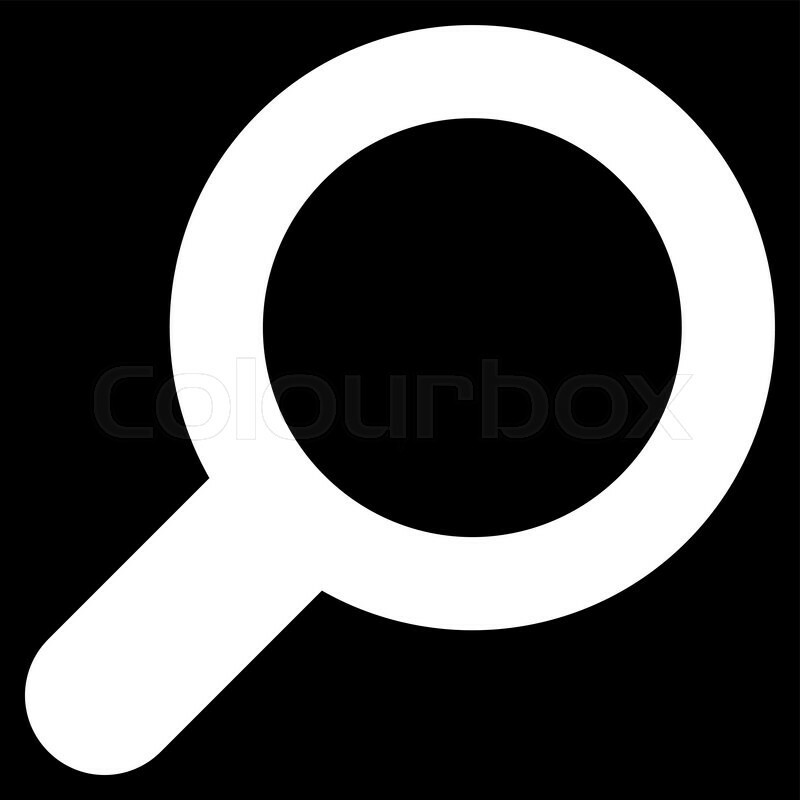 And as always, we’d love to hear how you’ve made dashi, so leave us a comment. 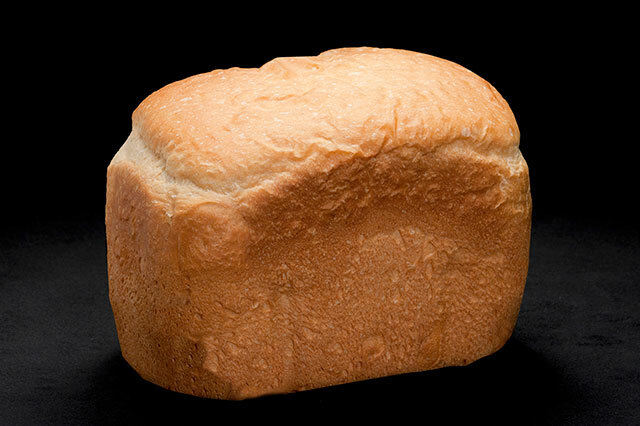 Making bread at home may not sound easy, but it’s a simple, satisfying process when using our Home Bakery Virtuoso® Breadmaker (BB-PAC20). An art form that requires high-quality ingredients, superior equipment and a careful, artisan process, bread-making is a craft that can surprisingly be accomplished by both a novice and an expert. We’ve designed the Home Bakery Virtuoso® Breadmaker to take the guesswork out of bread baking, without sacrificing any of the nuanced steps that create delicious loaves. The basic process for making bread in our breadmaker is straightforward: put in wet ingredients, put in dry ingredients, add yeast into a small well on the top, choose the setting and let the machine go to work. This simple process takes the age-old know-how for making classic loaves and streamlines it so that anyone can make bread. One of the key features of the machine is the dual kneading blades. These blades mix the ingredients evenly, thoroughly combining the flours, liquids, yeasts and seasonings into a smooth dough. 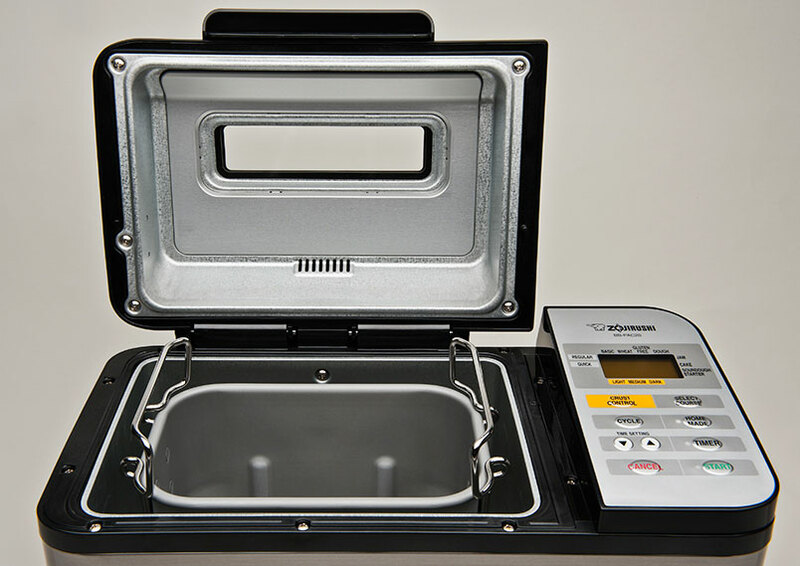 The breadmaker keeps the dough at the correct temperature for rising, then bakes the bread on all sides, including the top, thanks to the built in lid heater. The Home Bakery Virtuoso® Breadmaker has three inspired and innovative settings that make it the choice of bakers. The quick baking setting makes bread in a little over two hours. The exclusive Home Made setting allows expert bakers to set their own knead, rise and bake time—and the gluten free setting adjusts the time and temperature to make flavorful gluten free bread with a perfect crust. This versatile breadmaker can even make quick breads, pizza dough, sourdough starter, even jam and meatloaf! As with all of our products, we’ve made it easy to use with a large LCD display, a big window on the lid so you can watch every part of the bread making process, and a measuring cup and spoon accessory. The machine is easy to clean, as the nonstick inner pan can be removed for washing. And best of all, we’ve included an instructional DVD and over 100 recipes in the breadmaker booklet, so you can quickly get started. You’ll find many recipes on our website, and one of our favorite bakers, gfJules, has expert tips on using our machine. 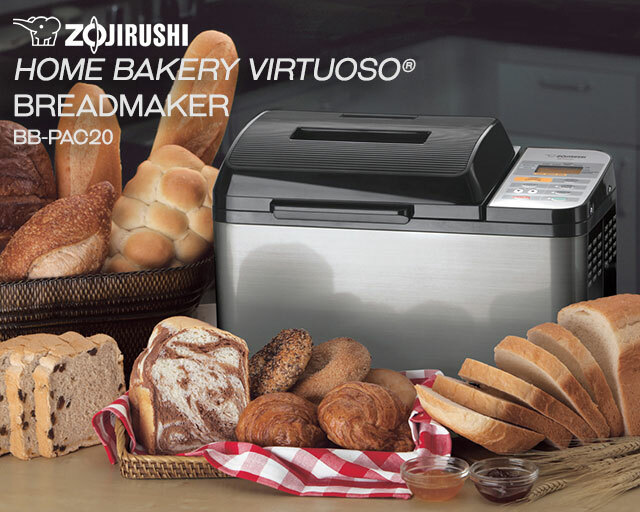 Our owners love our Home Bakery Virtuoso® Breadmaker, too. Over 1100 reviewers have given this machine a compiled 4.5 stars on Amazon.com! We know you’ll love this breadmaker as much as we do… and look forward to your comments below! Growing short-grain rice in Japan is critical to feeding the people of the country and feeding the spirit of its traditions. We continue our series from last month about growing short-grain rice with a look at how it is harvested and the traditions that embody the hopes of the Japanese people as they cultivate this important crop. As we discussed in our previous post, rice is cultivated in four stages: sprouting, planting, growing and harvesting. Once rice is mature, usually at the end of summer, rice fields are allowed to dry in the sun or are drained. Harvesting machines, such as combines, gather and thresh the mature rice, so that rice seeds can be transported to drying facilities. Once at the drying facilities, warm air is forced through the rice to remove moisture so it can be stored and further processed. The dried rice is sent to mills where it is cleaned and dehulled, leaving the nutritious bran layer intact, resulting in brown rice. The brown rice is then packaged and sent to market or further polished to remove the bran layer, resulting in white rice. This short-grain white rice is also packaged and sent to market, where it is purchased by home cooks and chefs alike. By the time the rice reaches a person’s plate, it has been touched by many hands and by many days in the sun, water and wind! Growing rice is a very important part of Japanese culture, and Japanese people participate in rich traditions that celebrate the entire process from initial planting to the harvest. During the planting season in spring, the people of Sumiyoshi, in Osaka, believe that an auspicious beginning to the season will help the rice grow. To create a happy atmosphere that fosters good energy for the year’s crop, the community asks eight ceremonial maidens, called ue-me, to sanctify the rice seedlings at the local shrine. These blessed seedlings are given to the shimo ue-me, another group of women who participate in the festival, to plant them in the rice field to begin the season. 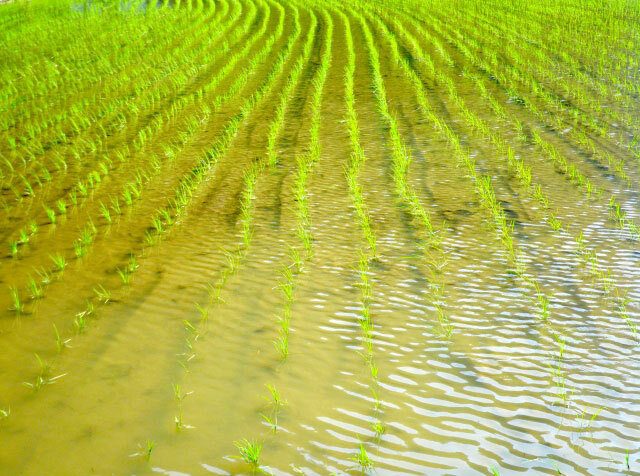 Planting leads to growing, and growing rice depends on abundant rain, fertile soil and lack of disease and pests. The people of Tsurugashima gather for a tradition called the Suneori Amagoi, during which they supplicate their water-loving snake god for abundant rain to help grow their rice crops. They build a giant decorative snake from bamboo and straw, imbue it with symbolic sacred charms, and parade it through the town to Kandachi Pond, where it is symbolically brought to its sacred home. During the summer months, pests can become a problem in the fields, so the people of Yata celebrate a tradition called Yata-no Mushi Okuri. During this festival, the people build a straw effigy of Saito Sanemori, a warrior from the Taira clan, who became angry when he was defeated in battle and whose grudge was transformed into an insect. They parade this effigy through the rice fields, with the goal of burning it at the end of the procession. The burning effigy is said to attract and kill the insects and pests in the area, and by doing so, release the crop from the warrior’s grudge. As the summer turns into autumn, and the rice crops mature, rice-growing communities pray for an abundant harvest, giving thanks upon the season’s conclusion, when the land and the people can rest. While traditions may vary from region to region, each of the seasons at the rice fields are beautiful, and if you’ve traveled to Japan to see them, we’d love to hear your stories.